Summary: Difference Between Video Conferencing and Telepresence is that a video conference is a meeting between two or more geographically separated people who use a network or the Internet to transmit audio and video data. While Telepresence refers to the means of sophisticated robotic remote control in which a human operator experience Virtual Reality (VR) and sense of being on a location. 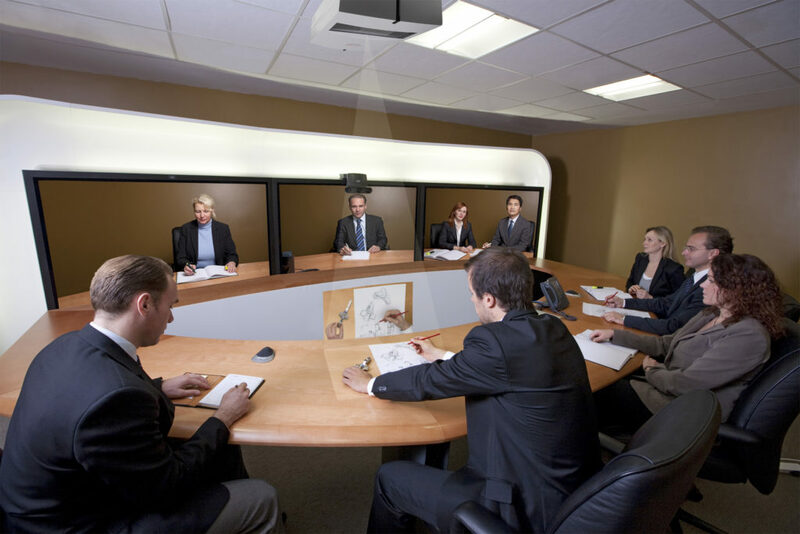 Telepresence refers to the means of sophisticated robotic remote control in which a human operator experience Virtual Reality (VR) and sense of being on a location. Robotic Remote Control which is placed at a great distance with a human operator can get connected at a long distance. Controlling it and feedbacks are done by telemetry wires, optical fibres or wirelessly. The robot used for telepresence is known as Telechir, which is a humanoid robot. or sometimes known as Android. The control stations gives human operator to the access of whole body suit that users wear.